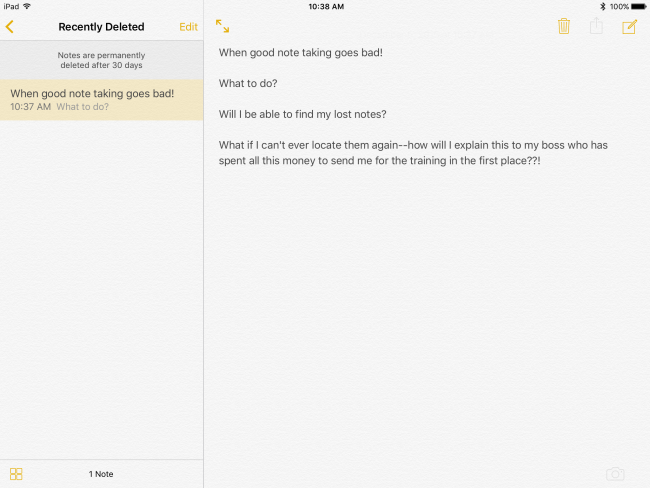 Where are your Notes organized, and how do you synch them? 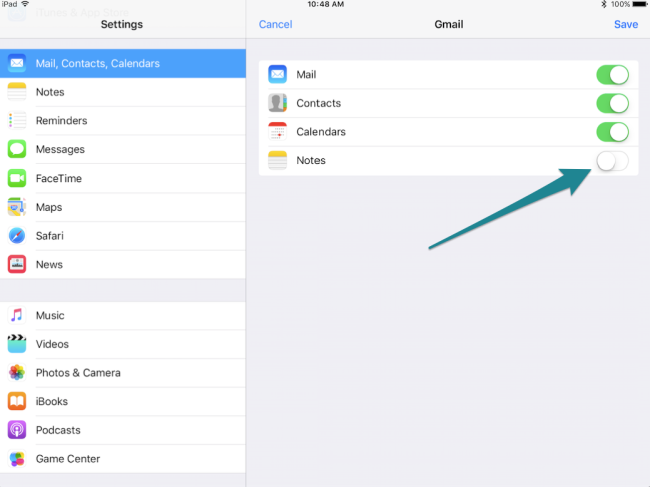 The Notes App on your iPad, or any other iOS device for that matter, contains notes that are either stored locally or through any email account you set-up on your iPad. During the set-up process you usually have several options of information you would like to synch from that account. If one of these options is Notes, then you can view the notes you create on your iPad inside the email account you add. 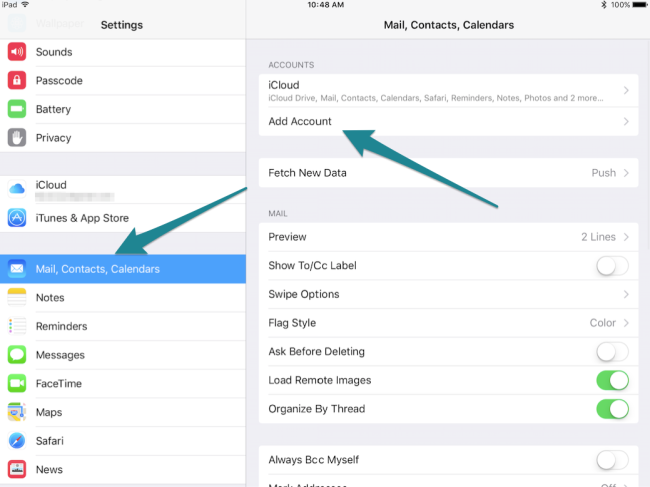 This information is typically found in the side bar of your email account, or in the case of iCloud, your synched Notes are a separate app that you can view in iCloud.com. So now that you know where your Notes are stored–what about reclaiming Notes that are lost and haven’t been synched to a back-up. During my trials, there were two main scenarios–Notes saved locally on the device, and those saved in an email account. For the Notes saved on your iPad as well as those saved in iCloud you have 30 days to recover these Notes before they are deleted. This is because they are placed into a separate folder in called recently deleted. 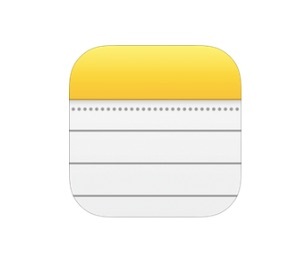 This is the only pace where you will be able to retrieve these types of deleted notes. The second scenario is when Notes are deleted from accounts linked to Gmail or Yahoo. When I deleted my Notes synched with my Gmail account I was still able to retrieve them in Gmail even though they no longer were in my Gmail Notes folder. After being deleted I was able to locate them in my “All Mail” folder in my Gmail account. This makes sense since, and I was glad to see I could still successfully retrieve these Notes. With Yahoo, however, I could not find a folder that captured “everything” from my account like I could with Gmail. It is possible that there is a setting I’m not aware of that will allow the creation of such a folder, but one did not currently exist in my account. Hope this helps some of you out there who have lost, or accidentally deleted your Notes. If you have had the same problem, and were able to find a work-around, please share with the rest of our readers in the comments section below. Excellent post. I was checking constantly this blog and I’mimpressed! for a very long time. Thankks and good luck.